Paulist Fr. John E. Collins is one of North America's great preachers of parish missions and renewals. With themes such as "Give God a Second Thought" and "The Faith Story," Fr. 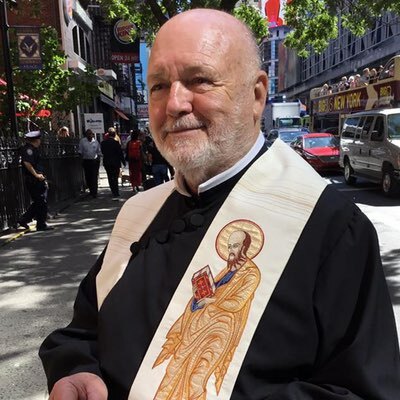 Jack has led more than 200 parish missions throughout the United States and Canada, as well as more than 30 retreats for Catholic priests and members of religious orders. To see a sample of Fr. Jack's parish mission, and to watch an interview with him about preaching, please visit this on-line resource created by the Boston College School of Theology and Ministry. Fr. Jack is the animating force behind the City Spirituality New York Style project and the "You Don't Know Jack" video series created by Busted Halo, the Paulist Fathers media ministry. Fr. Jack is one of a handful of living Paulist Fathers known as "lifers," those who were students in our one-time high school seminary in Baltimore, MD. He made his first promises to our community in September, 1964, and was ordained a priest on March 7, 1970, by Servant of God Terence Cooke, then cardinal-archbishop of New York. 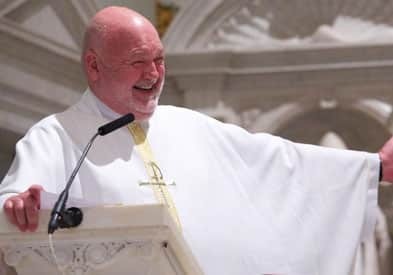 Among his past assignments, he was director of the St. Thomas More Newman Center at The Ohio State University in Columbus, OH; pastoral associate at St. Austin Church in Austin, TX; associate director of the University Catholic Center at UCLA in Los Angeles, CA; and associate pastor of our mother church, the Church of St. Paul the Apostle, in New York City. Fr. Jack can be reached by phone at (212) 265-3209, ext. 250, or (212) 265-4154, or via email at jcollinscsp@aol.com. You can write to him at: Fr. John Collins, C.S.P., Paulist Fathers Motherhouse, 415 West 59th St., New York, NY 10019.